U.S. Congresswoman-elect Donna Shalala (D-Fla.) and State Senator Jose Javier Rodriguez (D-Miami) joined Envoy passenger service agents in their fight for a fair contract, rallying at Miami International Airport (MIA) on Wednesday to call for an end to the American Airlines subsidiary Envoy Air paying its workers poverty wages. 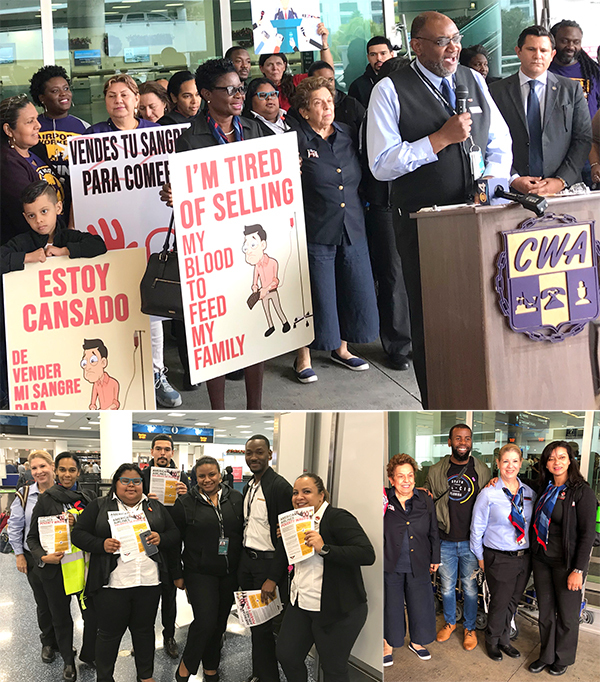 Workers also leafleted passengers at the airport, explaining their concerns and asking them to donate to local food banks, which many agents rely on to put food on the table, to ensure Envoy employees have enough to eat this holiday season. The next bargaining session is set to begin on January 22. U.S. Congresswoman-elect Donna Shalala (D-Fla.) and State Senator Jose Javier Rodriguez (D-Miami) joined Envoy passenger service agents in their fight for a fair contract, rallying at Miami International Airport to call for an end to the American Airlines subsidiary Envoy Air paying its workers poverty wages. 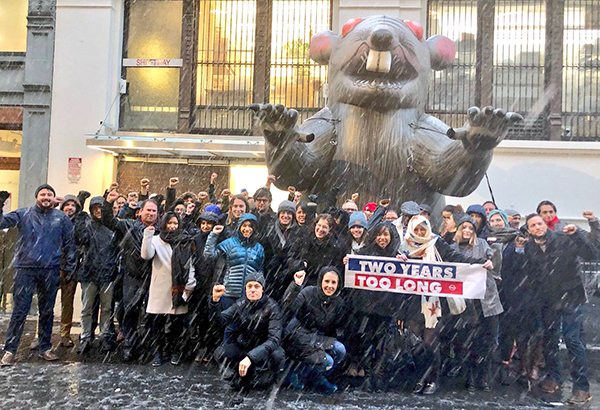 After an almost two-year fight for a fair contract, employees at Law360, a LexisNexis-owned legal news site, successfully secured a first-ever Tentative Agreement covering 170 workers. 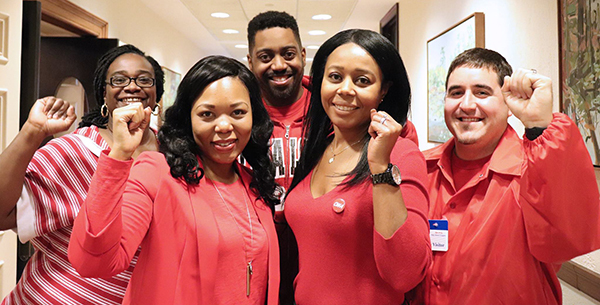 Employees stood together throughout the protracted negotiations, showing the company that they were strongly united in their fight for improved working conditions. Above: CWA District 3 members from AT&T Southeast joined together in Atlanta this week for bargaining and mobilization training in order to prepare for 2019 contract negotiations with AT&T. Below: Members of CWA Local 3808 are ready to mobilize for a fair contract with AT&T Southeast. 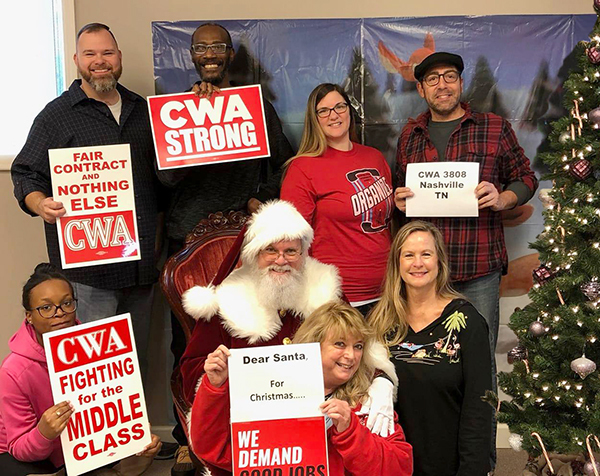 CWA members at AT&T Midwest have a message for AT&T Communications CEO John Donovan. In a new video filmed outside of an event in Cleveland where Donovan was speaking, CWA members tell Donovan that it's time for AT&T to get back to the table to bargain a fair contract that addresses the company's offshoring and outsourcing. Editorial employees at tech, culture, entertainment, and lifestyle publications PC Magazine, Mashable, Geek.com and AskMen, have announced their decision to form a union, and are asking parent company Ziff Davis for voluntary recognition. Staffers are citing stagnant wages, at-will employment, protection from harassment, and the need for a voice in the newsroom as motivating their desire to form a union. Workers at the Center for Public Integrity, a nonprofit, nonpartisan investigative news organization, won voluntary recognition for their union from management this week. The new bargaining unit will consist of 20 members, including employees in the news and development departments. The staff of Hoy Los Angeles, a Spanish-language sister paper of the Los Angeles Times, petitioned management for union recognition as part of the L.A. Times Guild last week. Around 10 Hoy employees develop and translate content, manage social media channels, and create photography and video for Hoy and for the Los Angeles Times en Español. They are effectively L.A. Times employees, and they deserve to be recognized as part of the union that represents the company's employees. Journalists at three Maryland community newsrooms – the Capital Gazette, the Carroll County Times and the Baltimore Sun Media Group – won voluntary union recognition from their employer on Dec. 3. The three news organizations will form a single bargaining unit, the Chesapeake News Guild.